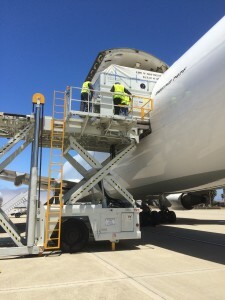 The Jason-3 satellite arrived today at California’s Vandenberg Air Force Base after a journey from France in preparation for launch Aug. 8, 2015, aboard a SpaceX Falcon 9 rocket. Jason-3 will continue a 23-year effort to monitor Earth’s global ocean, tracking sea level rise, ocean heat content and sea-surface height. Additionally, Jason-3 data will help the National Oceanic and Atmospheric Administration accurately predict when tropical cyclones will intensify.